Often times one of the things that virtual hosts forget to pay attention to is the lineup of events and speakers. There is a lot of discussion about when the keynote speaker should speak. Should they be first, last, or someplace in the middle? The truth is that only you can answer that and you’ll have to decide depending on how you’ve structured the rest of your event. As you choose the timeline for your day, think about where your attendees likely are during that time frame so you can best schedule in the right speaker. Think about all the speakers you have and how their talk ties in with your overall message. For example, if you are doing the virtual summit for business coaches about marketing, can you put the speakers in order on a need to know basis? For example, if people need to learn what their niche is before they can move forward, the person who is talking about choosing a niche should go first and the person who talks about product creation should go last. Do not forget to add in breaks, Q&A, special offers, and time for a joke or a laugh if it’s a really long event. If you set up each speaker with the same type of flow, of when they can make their offers, and when you’re going to have bathroom breaks, it will flow better for the audience and the speakers. If you have a daylong or multi-day summit, consider putting your keynote speaker during the most down part of the day or mid-summit. If you know your audience and they’re fading by 2pm, put your best speaker during that time because it will wake them up and get them motivated for the rest of the day. Also, make sure you speak right before the keynote speaker so that you can introduce them, and so that people are there to hear your message. Remember to record the event so that you can repurpose the information as well as allow people who missed the live event to still get the information. As you have been creating the different parts of the plans for your virtual summit, you’ve likely already worked out some of your monetization ideas. But, let’s go over some of these ideas just in case you haven’t thought of it yet. One of the fastest and easiest ways to earn from profitable virtual summits is to charge for attendance. If you have enough information for your audience in the lineup, they’ll be happy to pay. After all, it would cost them much more just for a flight to attend such an event. To choose the price to decide how much you want to earn, minus the costs, and how many people can attend. For example, if your software allows 200 people to attend, you can only sell 200 tickets. Let’s say your cost is 1000 dollars. That means you must sell your tickets for at least $5 bucks each. Anything over that is profit. It’s up to you to determine with audience research and your topic how much value you provide over that cost. A great way for both speakers and hosts to earn money is through affiliate programs. Offer an affiliate program for your paid summit to every speaker. Plus, ask them to let you join their affiliate program, which is used every time they share their solutions with the audience at the event. If you do this, make sure that your affiliate program is simple to use, offers a high percentage to the speakers and offers swipe files, branded graphics and more for each speaker. They’re much more likely to promote your event, even if they’re speaking, if they feel that your promotional materials offer value. You want everything you do to be a win-win-win. You want the audience to win. You want your speakers to win, and you want to win. One way to do that is to create scarcity. All the special offers during the event should not be repeated elsewhere. The event should state how many tickets are for sale. If there are only 200 spots, state it, and even do a countdown as the sales occur in order to encourage people not to miss out. This works both for attendees and speakers spots. 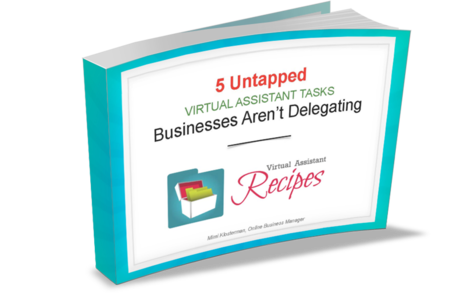 One of the best ways to earn money from a virtual summit is to be ready to follow up. Only some of the people who attend are going to take any speaker up on their offers, so it’s going to be up to you to follow up with them, segmenting the lists as appropriate in order to get them the information they need to make a buying decision. In addition, follow up with your speakers. Thank them, congratulate them, and keep them on a list for future opportunities. 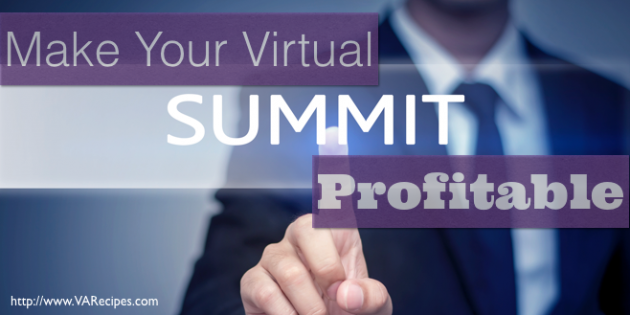 Remember that like most things, profitable virtual summits are a great way to connect with people and build relationships that will result in not only short term, but long term income growth opportunities. But first, you need people to attend your event. Thankfully, there are many ways to get people to attend your event. Everything you’ve read so far actually helps you create an awesome sales page to attract attendees. Your sales page to your speakers, as well as all the information you’ve gathered on your audience, will help you make the most amazing sales page to attract virtual summit attendees. Know Your Audience – Who are they, what do they want, what are they afraid of? Be Clear on Your Topic – How does it solve your audience’s problems? What value does it provide? Name Your Summit – Chose a keyword rich title that is straight forward and not misleading or tricky. Create an Amazing Tagline—Your tagline will help market the virtual summit. It should say what problem you solve or what value is created. Provide an Outline of the Summit – Give a brief outline of what is involved in the summit and what they’ll learn. Think benefits over features. List Your Speakers – This is very helpful to have a speakers’ page with names, images, and biographies along with links to their webpages (these can be affiliate links). Use A Professional Landing Page Design – Don’t be cheap, use a professionally designed template or hire a professional to make a landing page that gets results. Finally, make it easy for your speakers to promote your virtual summit, too. Some people put it in the contract but others suggest that you do not make it hard for your speakers. Instead, why not create such amazing marketing materials that they want to grab it and promote it? They really will do it, especially if you’re offering them a large share of the profits via their affiliate links. When creating high converting offers, whether it’s a virtual summit or the offer you plan to provide during the summit, the plan is the same. Know the audience, know what they need, and provide it. It’s always much easier offering people what they were already looking for than it is to try to convince people that they need what you’re offering. Create an Amazing Sales Page – We already talked about that, but it cannot be overlooked. If you’re not sure how to create a great sales page that gets results, find someone to do it for you. You can use template-driven services like Leadpages.net or Instapage.com, as well. Blog About It – You should probably start blogging about your virtual summit the moment you start planning it. This is a form of soft launch that will get people excited about it and want to attend or speak. Do Mini Webinars – You can do free webinars to promote your paid virtual summit easily using Google Hangouts or Blabs (blab.me). These events can simply be small precursor events that talk about what you’re going to talk about and even give a little sneak peek about what you can deliver. Webinar Jam – This works with Google Hangout and is one that is loved by many. You can collect money and do a lot of neat things with this software, but it depends on Google Hangout On Air, and how well that’s working that day. GoToWebinar – This is standalone software that you can use to not only host your webinar but collect money, too. A lot of professionals use it because it doesn’t have some of the problems that other solutions have. VConferenceOnline – You can use this system to charge a fee and even offer upsells during events. You do have to call for a demo first, but for people who aren’t sure about the technology they can be helpful. Adobe Connect — This has fewer features than some of the others but is a solid system to use for your virtual event including videos, file sharing, recording, editing and more. InstantTeleseminar – This is a tried and true solution that isn’t expensive and isn’t hard to learn how to use. You can use it if you want only phone access or visuals. The best advice you can have right now is to try out each of these solutions. If you’ve been to an online summit or a webinar that you liked, find out what technology solution they used so that you can find out if it’s an option for you. What one person swears by, and what you like, may be very different. If you’re not experienced with virtual summits and the software that is necessary to host them, it may be best to outsource your troubleshooting needs. There are virtual professionals who will hold your hand through the entire thing. Do a search on virtual summit virtual assistants, or teleseminar virtual assistants, or webinar virtual assistants and you’ll see the variety of help you can get with your event. You can also ask for help in various groups that you’re involved in online. If you get help where it’s needed you’re going to have a much more successful virtual summit. That’s because you’re going to have more time to follow up, which is truly where most of the money can be earned. Even if you charge for your virtual summit, you can make even more profit on the back end with planned follow-ups via email marketing techniques.